by Jean Lehn Epp, Interim Coordinator of Youth Ministry Resources - There was a time in the Mennonite church when the Bible was taught through memorization. This was one way the biblical story would become embedded in the minds of youth to be recalled when needed. Youth today have everything at their fingertips through Google, apps and more. What then is our role in sharing the biblical story? 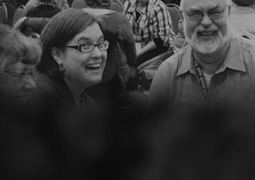 Scripture becomes more than words on a screen or a page when engaged in community. The story of God at work in our lives becomes real and embodied through wrestling with the scripture together, as well as in our worship, rituals, songs and prayers. There is a part of our history that needs healing from using the Bible to exclude, control and manipulate. We need to be attentive to our own use of scripture and our perspective from which we read our lives into the biblical story. We need to be sensitive to how we share the Bible with youth. We want to create more opportunities for youth to experience and engage the Bible while being cautious about being artificial and pressuring youth to make a decision for Christ. There is strong expectation that Sunday School on Sunday morning is the time and place to tackle the Bible. Engaging the Bible in intentional, unapologetic and creative ways will help the Bible to be a dynamic story. We bump up against perceived expectations that Sunday morning and during Sunday School is the only time talking about the Bible will be tolerated and embraced. 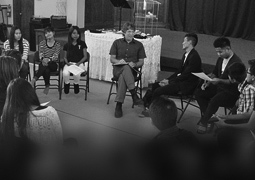 How do we integrate it into other parts of our ministry with youth? 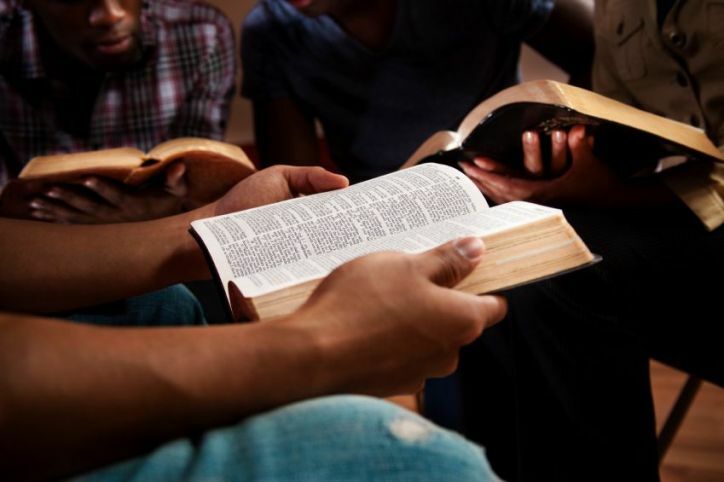 Why is there resistance to starting a Bible study or why is Bible study poorly attended? The church is after all a biblical community. It can be challenging to shift the church and youth culture to be open to other times to engage the Bible apart from Sunday morning. Engaging the Bible in intentional, unapologetic and creative ways will help the Bible to be a dynamic story that can guide, inspire, challenge and remind us of the vastness of God’s grace, forgiveness and love. Consider clarifying terms we use like “salvation,” unpack and explore scripture to reconstruct an understanding of it. Use actual text from the Bible when possible to familiarize youth with the details of the stories, phrases and language. Share a current situation or scenario from news or culture to help explain and understand theological and Biblical concepts. When possible communicate some details from commentaries, etc., about Biblical culture, context and practices. For example, when we read the story of Jesus with the Samaritan woman, it expands our reading of the story when we talk about Jewish attitudes to Samaritans or cultural attitudes toward Jesus being alone with a woman in a public place. Encourage youth to use their imaginations: have them close their eyes, read the scripture over a few times, and as they listen invite them to imagine themselves in the role of one of the characters in the text. Then, take time to reflect together. Ted Swartz and friends are gifted in dramatizing the biblical stories and bringing them to life. In the DVDs, Good God Theater: Act 1 Old Testament and Good God Theater: Act 2 New Testament the mix of humour, tenderness and depth makes the biblical stories memorable. The Bible is explored from creation to Jesus and the Sermon on the Mount. An accompanying study guide is included for discussion and reflection. We often shy away from what we don’t understand. How to Read the Bible: Building Skills for Bible Study, by David Schroeder is part of the Generation Why Bible Study Series. In five sessions youth are encouraged to embrace tools that will help them read the Bible in healthy ways. Want to challenge assumptions of what is in the Bible? Sometimes it is just as important to know what is not in the Bible as what is in the Bible. Mary Jane Button-Harrison takes a fresh approach in Holy Hogwash: What the Bible Never Said to tackle what we think is in the Bible. Michele Hershberger, Bible & Religion Professor at Hesston College, Kansas, shares her insights in a webinar presentation, Why Anabaptist Youth Ministry Matters. With a focus on our distinctive view of key elements of the Bible and our faith, she concisely maps out what makes our youth ministry unique. Is the Bible still able to speak to us today? What does it have to say about teen culture and life? Kimberly Williams shares Old Testament wisdom for youth ministry today from the Fuller Youth Institute.